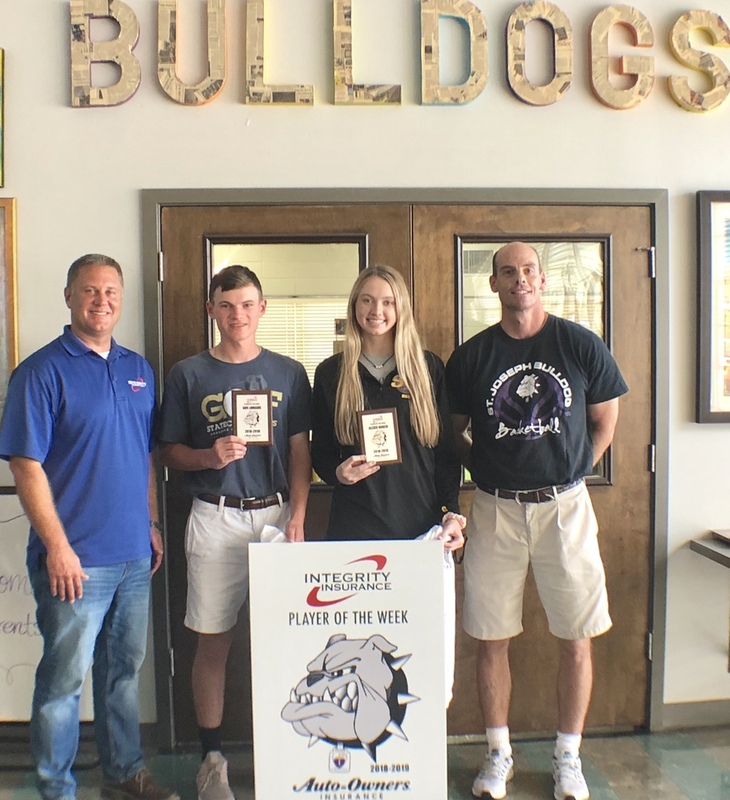 Two area sponsors, the Integrity and Auto-Owners Insurance Companies, have partnered to establish a "Player of the Week" program that encourages young athletes and rewards them for their commitment and dedication to their teams. The first two male and female athletes chosen for this program from St. Joseph School are sophomore Gus Longing and senior Alexis Roach. Gus is a member of our boys golf team, which just won District, and he's also a basketball player. Alexis a leader on both the volleyball and girls basketball teams. Seen here with these two players are Integrity Insurance owner Joey Fulgham and St. Joseph Athletic Director Brent Bruich.